Learning how to photograph star trails is a fulfilling experience. Capturing the apparent movement of stars across the sky as the Earth rotates can give you surreal and compelling images, and star trail photography is highly rewarding if you have a bit of patience. Interestingly, the Milky Way Galaxy is home to billions of stars out of which we are able to see only a fraction in the night sky from where we live (around 2,500 to 5,000 stars at any given time). Indeed, if you do have the patience, (particularly if you are going to take a 2-hour long single exposure) you can turn an otherwise mundane shot into an otherworldly image. 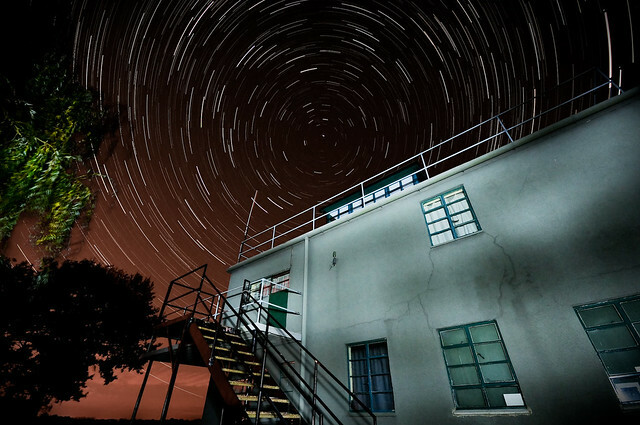 Here is the ultimate guide explaining how to photograph star trails. When thinking about how to photograph star trails, your goal is to allow your camera to pick up light it wouldn’t normally (ie the stars) by using extra long exposures. So to achieve this you will need to first look for a location that is free from light pollution and a long way from the city lights. Whether from a nearby city or the street lamp at the end of your driveway, light pollution can greatly affect long exposures. This isn't necessarily a bad thing though – in fact, it may add to the ambiance of your photo, such as a star trail image that begins during the blue hours. Experimenting with atmospheric light can be a creative way to make a unique star trail image – just be aware that the lighter your sky is, the less contrast your star trails will have. You will also need to make sure the moon isn't shining brightly. However, if you are looking for little ambient light to illuminate the landscape, a quarter moon is fine – but make sure it is out of the frame that you are composing. Keep an eye on the weather and make sure that you go out to shoot on a day when the skies are clear. Obviously, you don't want to photograph star trails under a cloudy sky, but other atmospheric filters can interfere with your night photography – air pollution and humidity being the top annoyances. The very best locations for a clear sky would be high up and away from any congested cities, and take on a night with very low humidity. You will need a camera that can shoot manual mode and if it has an inbuilt intervalometer, you can make use of it to take photos continuously. NOTE: It’s very important to utilize proper long exposure techniques and avoid camera shake: locking your mirror, mounting your camera on a secure tripod, and using a remote cable release for your shutter. A Common Aperture Misconception Explained: Wide Open or Narrow? A common question – or rather a misconception – with star trail photography is why wouldn’t you use a small aperture (say f/8 or above) for a sharper image rather than shoot wide open? You’re already shooting hour-long exposures so the timing isn’t a concern….surely it’s better to have a sharper photo, especially if you have other focal points (foreground interest, etc). The issue with photographing stars is that they move – this is why we want to photograph their trails in the first place. With that in mind, there is a delicate balance to find with your exposure that’s more than just how long your shutter is open. Wider apertures allow for shorter exposure times because they let more light in than narrow apertures. Focus on that last part – they let more light in. Considering that stars are constantly moving, you need to make sure that they’re registered on your sensor before they move – otherwise, your star trails will be very dim, perhaps even non-existent depending on your chosen f/stop. Imagine doing a two-hour shoot where your foreground is lit nicely, but your star trails look no more than a slight variation in tones on the night sky. So it's a good idea to have a lens that’s capable of very wide apertures – such as f/2.8 or even wider. The wider your aperture, the brighter your star trails will be. So you've chosen a location and you have the gear, so the next step…how do you get those fantastic lines of light? Taking many shorter exposures and stacking those images in a way that shows sequential movement. To capture star trails using one long exposure, there are a couple of important things to consider. You need to let as much light into your lens as possible for those stars to register (the why's of this are explained below) – this means using a fast lens, preferably in the f/2.8 range. When photographing stars under one exposure, you need to do it during a new moon night – meaning that the moon is nowhere to be seen. If you have anything more than a crescent, your exposure will be limited to the 10-minute range because of the ambient light, which won’t do much for star trails. For this kind of photography, darkness is your best friend. Ultimately, you’re aiming for your environment to be illuminated by the stars themselves – yes it’s possible! However, this entirely depends on the length of your exposure. The image below is the result of an 80-minute exposure taken under a new moon – you can see that the foreground is exposed nicely and the star trails are outstanding. When calculating your exposure, it would be best to do a shortened test shot so you’re not waiting a ridiculous amount of time just to see if your settings are correct. Many night photographers will jack up their ISO as far as it’ll go and shoot wide open – you’ll rarely find an instance where you’ll be taking a photo shorter than 30 seconds here. Of course, the test shot will be entirely unusable due to noise and lack of trails, but it will give you a base to calculate what settings are needed with an ISO of 100. Keep your ISO really low to reduce noise. Start with a moderate aperture of f4 and make changes later. Do a test shot first for 20 or 30 seconds to see if stars get recorded in the frame. If the test shot does not go well, widen the aperture or increase the ISO, whichever is possible or do both and take test shots till you get a good image. Once you are happy with your test shot, increase the shutter speed to around 10 or 15 minutes. Take the shot and see how much trails you get and how bright the trails are. Do a few test shots by doubling the exposure time to get the settings right. Do not turn on noise reduction as that process can consume a huge amount of time after each exposure. An alternative to waiting for an hour or more for your exposure to finish is to take sequential images and stack them together in post process to get your star trails. In short, your exposure should be just long enough to register your stars as bright objects in the sky before moving onto the next one. It’s not uncommon to have several hundred images to stack taken over the course of a few hours. Have your aperture set to the widest, ISO around 320 to 640 and shutter speed 20 seconds. Manually focus on a bright star in the sky (do this by zooming in on live view). Take a test shot and review your image. Make a test shot and depending on how the stars get recorded in the image, you may need to increase ISO and/or shutter speed. Do not increase the ISO above 3200 as the image quality will start to degrade. Set up the intervalometer in your camera or if you do not have an inbuilt one, make use of an external intervalometer to take the number of shots that you are looking to take at the specified interval (if you camera doesn't have an inbuilt intervalometer, if possible pick up a remote shutter release that has an intervalometer on it). The number of shots depends on how long trails you need in the final image. I’d suggest to have a minimum of at least 50 exposures and more if you are able to. You should shoot up to 200 or even 300 shots to get a decent star trail. Make sure there is no delay between shots (less than one second) because this can cause a break in the star trails rather than a smooth one. Once you have your images done, do some basic adjustments to your images and use your favorite application to stack/combine the images. There are many different post-processing applications available such as ImageStacker and DeepSkyStacker – these will automatically throw all your images together and produce a stunning star trail. I normally use Adobe Lightroom for basic adjustments and use Adobe Photoshop to combine/stack the images to get the star trails. If you think it is very time consuming doing it in photoshop or if you do not have photoshop, we've had a look at a free application called StarStax which is available for Windows and Mac. We've downloaded and tried StarStax and honestly, it is a very quick process. 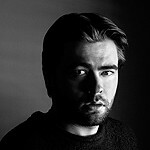 43 photos of size 2000px on the longer side, took just 5.40 seconds to be processed. Take a look at the .gif of the process below. Just drag and drop the images, and press the processing button. 43 images of size 2000px on the longer side took 5.40 seconds to process. 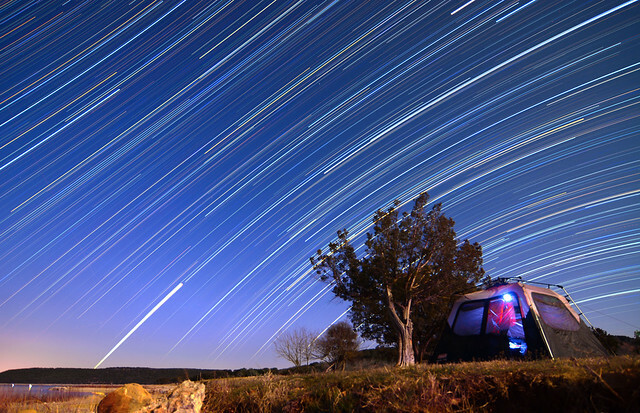 Bonus: Why Not Make A Star Trails Time Lapse Video? Another benefit of image stacking is that now you have all the necessary photos to make a time lapse video. Here's a short video of what you can accomplish with this method of star trail photography: both the time lapse video and the composite trail image are shown here. As you may have noticed, several of the example images used here have a circular pattern. If you live in the Northern Hemisphere, look for the Polaris (The North Star) which is the last star in the small dipper. If you live in the Southern Hemisphere, Sigma Octantis is the star you should be looking for to locate the South Celestial Pole, but it is very faint and cannot be seen with naked eyes. Instead, look for The Pointers and the Southern Cross. Draw imaginary lines, one along the Southern cross stars and another perpendicular to the line joining the pointers. The point of intersection of these two lines is the South Celestial Pole (see illustrations below for reference). Of Course, There Is An App For That! If you are a beginner and find it difficult to locate these stars in the night sky, use an app to locate The Polaris for the North Celestial Pole and the Sigma Octantis for the South Celestial Pole. These apps can accurately show you the location of the stars at any time or tell you what time the stars rise and set. The Sky Guide app for iOS that I usually use gives an accurate location of the stars and alerts you of astronomical events. If you are looking for a free app for the iOS, I have tried the Sky View Lite that is a good enough app to locate the stars. The Sky View is free for Android. For Android users looking for a good app Star Walk 2 is the one to go for and it is free. I have personally found these apps to be accurate and have tried them myself. Photographing star trails is challenging but the results are amazing. The movement captured in our images can represent the vastness of the universe and our small place in it. We hope you've benefitted from this ultimate guide on how to photograph star trails and as always please feel free to share them with us here in the General Photo Chit Chat Forum. We would love to see what you create! 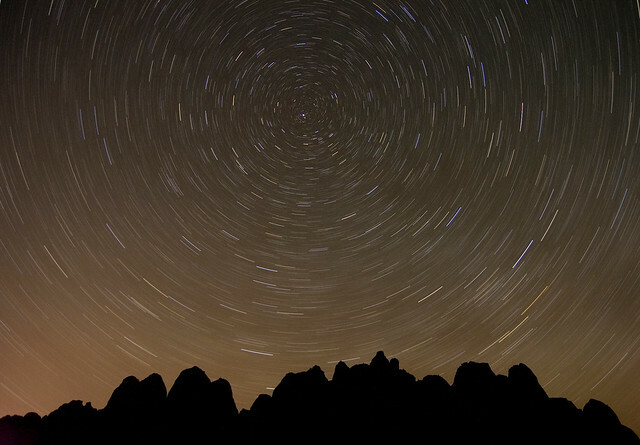 Printing Your Star Trail photos – To get the most out of photography, many people turn to printing their images. A beautiful large print of star trails is a perfect candidate for your wall. Take a look at our guide to the best photo printers to make sure yours turns out how you want it to. 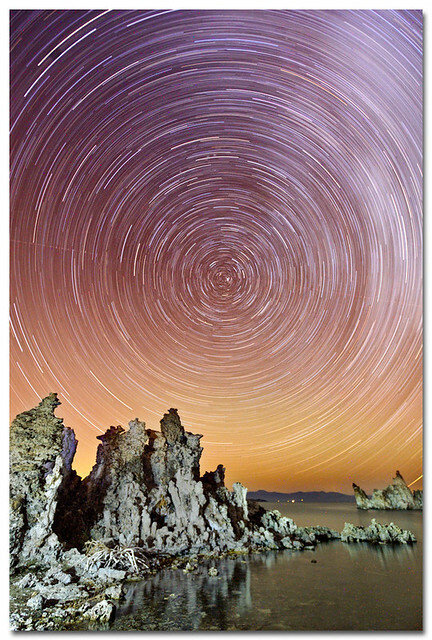 This ultimate guide to star trails has been updated by Dahlia Ambrose.